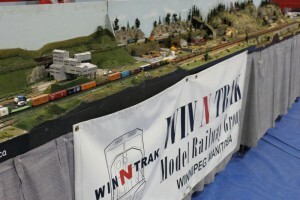 I visited the Winnipeg model train show on Saturday (Oct 16). 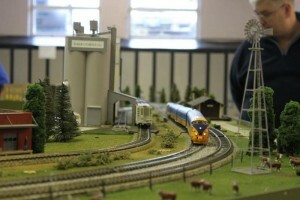 There were several impressive layouts at the show, and here are some photos and video of the event. 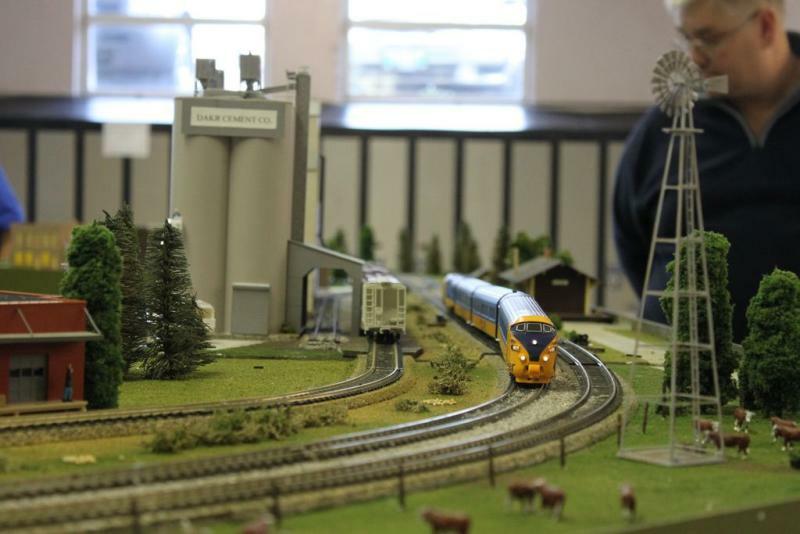 The photo above, and the video below, show a model Ontario Northlander running around the Free-Mo layout on the ground floor. I like the Free-Mo idea but I was a little disappointed that it was formed in a traditional rectangle. I understand the need for continuous running but the best part of Free-Mo is that you can join modules together in different configurations. 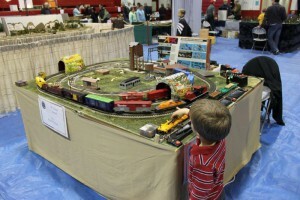 My son liked this layout.. actually, he liked any of the larger scale layouts. This one had a couple of flashing pumpkins on the layout, which were fun for the kids to find. 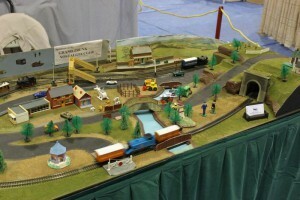 This busy layout had Thomas (with Annie & Clarabelle) running around the oval. 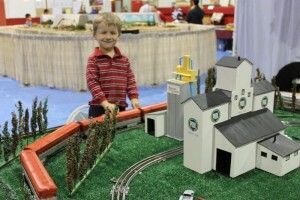 My son liked that the train disappeared behind the backdrop and came out the tunnel. Even when he discovered where the train went, he was still excited. Note to self – need tunnel on home layout. I was really impressed by the realism of some of the layouts. 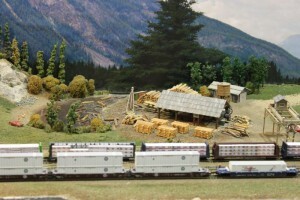 Here’s one module on an N-scale layout. This layout by Paul Ullrich was my son’s favourite. Paul set up several log cars on the side for children to play with. Press the button and the logs dump… reset… repeat… I think my son would have stayed there for hours if I had let him. A very close second for my son was this layout. I really liked the handcart following the train on the outside – very inventive. Here’s a portion of the Win-N-Trak layout. I bought a few intermodal well cars, an autorack, and a used DCC locomotive… my first DCC loco. Soon I will have to buy a DCC starter set! Congratulations and a hearty “well done” to the organizers, exhibitors and vendors.